Tilapia has a wide range of eating habits, in artificial rearing condition, farmers can feed tilapia all kinds of material, such as wheat, corn, paddy cakes and so on, those are high quality feed for tilapia. Different varieties of tilapia at different stages of growth have a certain difference in nutritional requirements. The optimum protein requirement of tilapia fry is 35% to 40%, 20% to 25% is for the fish with more than 50 grams. The optimum protein requirement of O.aureus fry is 36%, fingerling and adult is 26% ~ 36%. 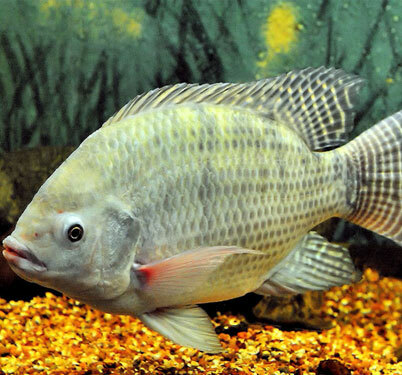 The content of crude protein in Tilapia feed should be controlled more than 25%; during intensive culture, the crude protein content should be controlled at 30%; the proportion of animal and vegetable proteins in feed should be 1 : 2.8-3.4; the content of fat is 4% ~ 6%, and the content range of cellulose is 5% to 20%; the requirement of mixed inorganic salt is 3% ~ 5%; The suitable range of phosphorus is from 0.54% to 1.14%. Under the condition of pond culture, tilapia can meet the requirement of vitamin by feeding natural bait. In intensive farming, the amount of vitamin added is about half of the vitamin added to carp, and it can also be added to the diet by feeding of green feed. 1. Before the tilapia body reaches 150 grams, the protein content should be 32%~35% of the feed, daily feeding amount is 3%~5% of tilapia total weight. Rich water cultivation can also be used, relying on animal waste to cultivate biological feed fish, generally spread manure once a week, 100kg-150kg each Mu(about 666m3). 2. After two to three months, tilapia body reaches the specifications of 250g/tail, entering the stage of mid term cultivation, then farmers should change the feeding mode, use all price tilapia feed in stead of animal manure. At this time, the theory of feeding principle is to adhere to the “Fixed point, timing, quality and quantity” of feeding, generally feed twice daily at 9 a.m. and 5 p.m. respectively. 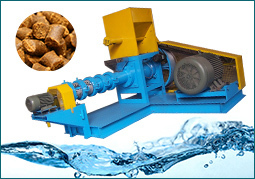 The fish feed amount is 3% to 4% of fish weight, and ensure protein content is 27％~29％ in the feed. 3. When the individual reaches about 300 grams, the tilapia enter the fastest growing period, the daily feeding amount should be maintained at 1%~2% of fish weight, and the content of protein in feed is above 35%. Fish should be fed feed five times daily. In fact, in the principle of not wasting feed, farmers feed in as much as tilapia need, this can make tilapia grow faster. It can be developed to more than 1 kg / tail in seven to right months. In the middle and late stages, the fresh water should be kept to ensure a good appetite for fish so as to achieve rapid growth. At present, there are two kinds of artificial diets in tilapia feed, one is ordinary pellet and the other is extruded feed pellets. 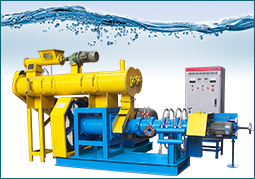 0.75 to 1 kilograms tilapia feed produced by fish feed extruding machine can feed 0.5kg tilapia. In the production of ordinary pellets, the tempering temperature should be controlled between 80℃~95℃. When producing extruded tilapia feed, adopt superfine grinding process, more than 80% of the material can pass 80 mesh screen, the produced feed has good looking appearance. 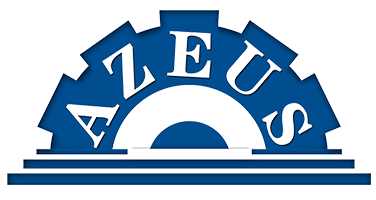 Moreover, the feed has little wear and tear on the extruding machine, which can prolong its service life. The particle size is basically between 0.9-15 mm, whether it is ordinary pellet or extruded pellet. The simplest and fastest way is to observe and measure the caliber of the fish mouth, and then determine the size of the feed pellets. Generally, the price of extruded feed is higher than that of ordinary pellets, but the effect of extruded fish feed is better than that of ordinary pellet, and the benefit of cultivation is outstanding. 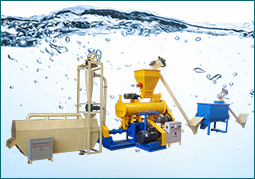 Nowadays, the production and application of expanded tilapia feed has become very popular. The feed formula can be made up of various raw materials according to the sources of feed in different places, and the nutritional requirement of Tilapia.